Guides for exploring MDI and Acadia. Most are available online; pick up the others from Chamber businesses or the Visitor Center. The Port Directory covers the towns of both Tremont and Southwest Harbor (including the villages of Manset, Bass Harbor and Bernard). The Directory is available free at most tourist information booths on Mt Desert Island and in our Visitor Center. 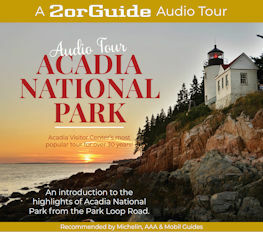 The Loop Road Audio Tour introduces Acadia National Park as seen from the Park Loop Road. The tour covers highlights such as Sand Beach, Thunder Hole, Jordan Pond, and Cadillac Mountain. All of the stops are easily reachable by car. 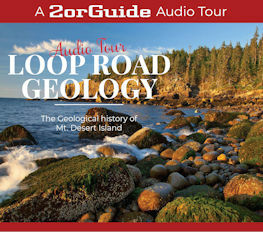 This audio tour tells the 420 million-year story of the geology of Mount Desert Island. The tour describes an ancient volcano that erupted, collapsed, and eroded. At ten stops along the Loop Road you will see remnants of the volcano and evidence of the glaciers that sculpted the current-day island. Michael J. 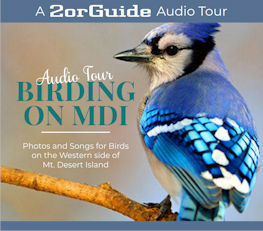 Good, President of Down East Nature Tours and founder of the annual Acadia Birding Festival, has created an audio guide with photos and songs for birds on MDI. The guide is organized by location, showing the birds likely to be seen. Can be used on phones, tablets, and laptop computers. Bob Duchesne, an enthusiastic birder and creator of the Maine Birding Trail, has produced an informative guide for birding on MDI. Included are maps of where to go and descriptions of what you're likely to see. For a guide to birding in all of Maine, you can purchase a copy of Bob's book Maine Birding Trail in our Visitor Center. Keep track of the birds you see in the park with this checklist from the Park Service. Bar Harbor is a popular destination for ships cruising the New England coast. If you are planning a trip into the village of Bar Harbor, it is wise to check what ships are in port.